Our plant research antibody range covers the areas below, but is very extensive so please use the search box above to find your antibody of interest or for help use our contact form or email tech@nktscientific.com. 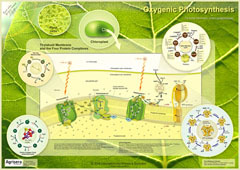 Plus if you are doing NGS in plant samples you may be interested in our small RNA white paper Increasing Ligation Efficiency and Discovery of miRNAs for Small RNA NGS Sequencing Library Prep with Plant Samples, which provides details of why our small RNA library prep kit works especially well for plant samples. Read more about our small RNA kit here. If you would like to receive our plant research newsletter please complete the form below. After years of supporting many plant conferences, workshops and congresses Agrisera contacted the American Society of Plant Biology about a plant meeting calendar at just the right time and now all plant meetings, congresses, workshops and conferences can be listed on the global Plant Science Events Calendar. Add your meeting, workshop or symposium, or check what events are coming up! Regular updates will be posted here every 2 or 3 months as new antibodies are realeased. Arabidopsis is a member of the Brassicaceae family, which includes cultivated plant species such as cabbage and radish. Arabidopsis offers significant advantages as a model organism in plant research due to its small genome and as a result is commonly used in the study of meolcular biology in plants. Newmarket Scientific are the exclusive UK and Ireland Distributor of the Agrisera range of antibodies for plant research. 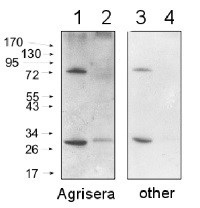 The Agrisera range includes a large number of antibodies reactive to arabidopsis species. Click here for details of our arabidopsis antibodies. 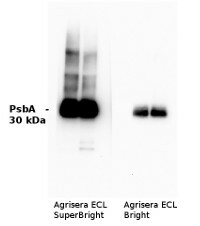 The Agrisera Super Deal is available for orders of a wide range of Agrisera primary antibodies as detailed on this list. Simply select your primary antibody from the list and quote "Agrisera Super Deal" on your order and we will include a matching secondary antibody (which can be used at a high dilution from 1:25,000 to 1:50,000 for 1h/RT incubation), and two chemiluminescent detection reagents with different sensitivities (1x5 ml ECLBright - pico to femtogram detection AND 1x5 ml ECLSuperBright - extremely low femtogram detection). 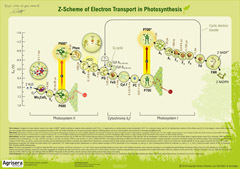 You can download pdfs of our Agrisera plant research posters below, or if you would like to request a full size copy for your lab wall, simply complete the form at the top of the page and we'll send you a printed copy in the post.